Earlier this month, we posted a video containing data from the iPrEx trial from the IAS 2011 conference stating that tenofovir/emtricitabine (Truvada) reduced new HIV infections by 42% overall, and by more than 90% among people who demonstrated good adherence. When the US Food and Drug Administration approved Viagra in 1998, officials never considered one possible side effect of the drug: higher rates of sexually transmitted diseases among men who, thanks to Viagra, would become more sexually active. A powerful tool in the fight against HIV is raising similar questions about the possibility of unintended public-health consequences if drugs are approved for use in healthy people and cause them to alter their behaviour. 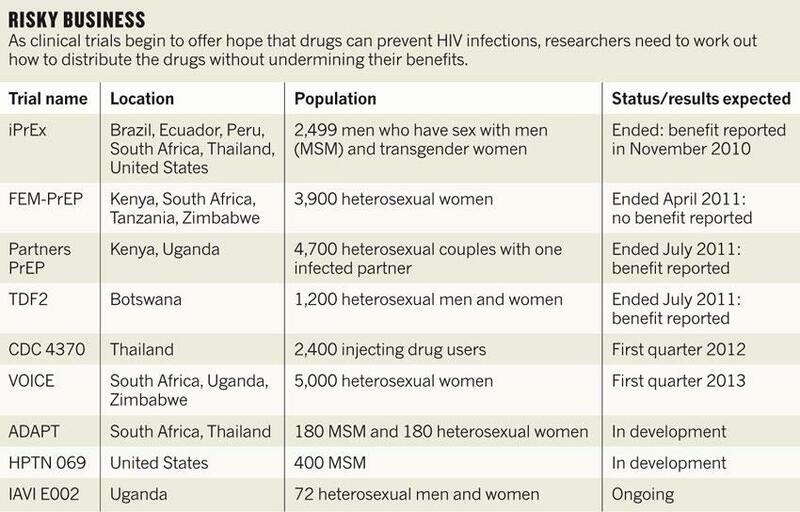 Several studies in the past year have reported that the very drugs used to treat people with HIV can also stop healthy people from becoming infected (see table below). Researchers will mull over these issues today at a meeting convened by the Forum for Collaborative HIV Research in Washington DC. The questions have become more urgent since January, when the drug firm Gilead of Foster City, California, announced that it plans this year to ask the Food and Drug Administration (FDA) to approve its HIV drug Truvada for use in healthy people — in what is known as pre-exposure prophylaxis, or PrEP. Truvada, which contains the antiretroviral drugs tenofovir and emtricitabine, has been used in many of the PrEP trials. 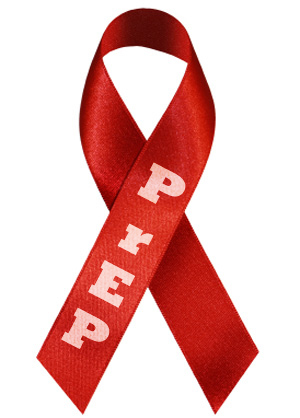 In the three clinical trials that have reported benefits for PrEP so far, once-a-day pills have cut a person’s risk of acquiring HIV by between 44% and 73%, a variation that is due primarily to differences in how strictly patients stuck to the daily regimen. Asking the FDA to evaluate questions about risk disinhibition and drug resistance might push the agency into uncharted territory. “When you’re talking about a population issue, is that something that the FDA should be looking at at all?” asks Jur Strobos, deputy director of the Forum for Collaborative HIV Research. The clinical trials don’t offer clear guidance. Some of the successful trials found that people on PrEP actually used condoms more frequently while receiving PrEP treatment, countering the risk-disinhibition argument. And only a few instances of drug resistance occurred, and these did not compromise patients’ treatments. This entry was posted in Uncategorized and tagged AIDS Vaccine Advocacy Coalition, Centers For Disease Control And Prevention, Food and Drug Administration, Pre-exposure prophylaxis. Bookmark the permalink.